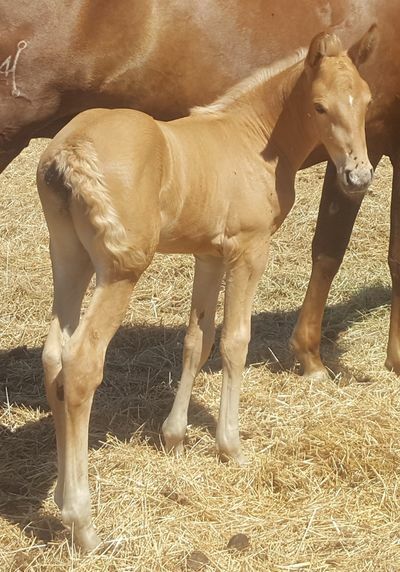 This is a stunning palomino colt foal with that all important ‘look at me quality’. Gazaro Anopheles was born at the end of July 2018 to Roceria CLXXXI by our cremello stallion, Mas Yaco. 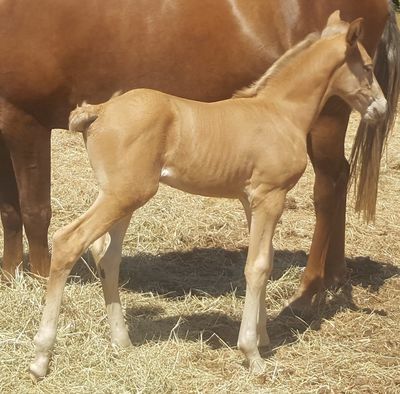 Roceria is a tall mare at over 16hh with excellent bone and conformation. She passed her grading (APTO) in 2016 with flying colours. We have shown her just twice and she has been in the ribbons on both occasions. 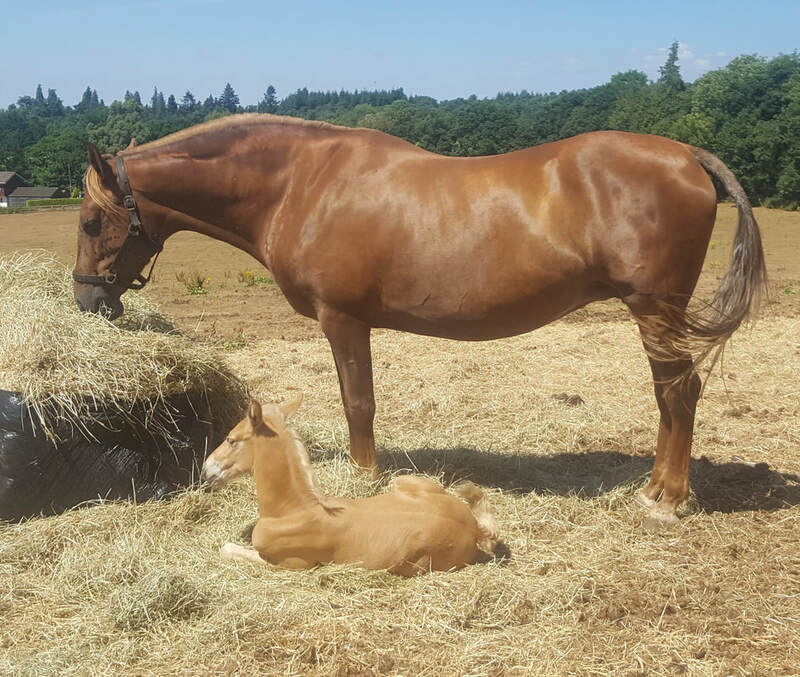 We are more than pleased with this mare as tall, chestnut mares with good conformation, movement and temperament are difficult to find in the PRE breed. His sire, Mas Yaco, is our cremello PRE stallion, again over 16hh and graded (APTO) in 2017. There are only six stallions in this colour worldwide that have passed their grading and he is the only one outside Spain. Mas Yaco has a long, straight action which is most suitable for dressage and his temperament is fabulous, kind and full of fun. Gazaro Anopheles is sure to turn heads wherever he goes as he is absolutely stunning - he should be a star of the future.